Five-ish years ago when I traveled Turkey, I ate a traditional Turkish breakfast most days: eggs (usually boiled, although scrambled in fancy establishments), olives, tomato, cucumber, bread, butter & jam. It was easy and satisfying, although I do think we got bored of it after 3 weeks. 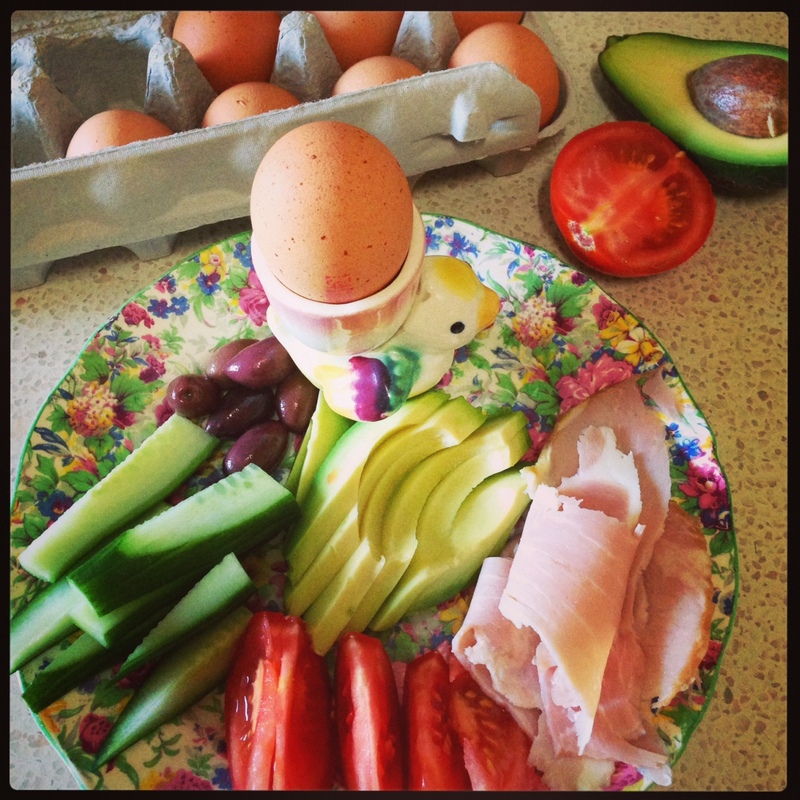 Today I took inspiration from this traditional meal and came up with a paleo friendly Turkish Breakfast Plate: 2x boiled eggs, 2x slices ham, olives, cucumber, tomato, avo. It was really delicious and easy to put together. Would also be great for breaky on the run, as you could pre-pack all this the night before. Win! I still have a cold today so energy levels not great, but my hunger levels are much better. Felt content ALL morning from breakfast, not having lunch until 1pm. Lunch was left over faux fried-rice and kept me nicely full until dinner time. For dinner my hubby cooked a simple kangaroo fillet and salad. I didn’t feel the need to snack today, nor was I craving sugar which is a plus. No exercise today due to cold and bad back – boo!